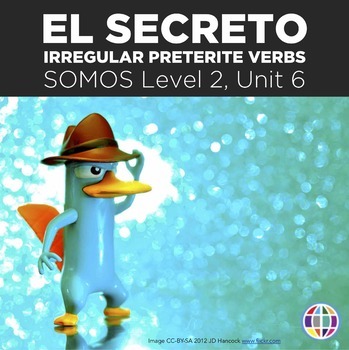 Expose your students to irregular preterite verbs in context with seven days' worth of comprehension-based lessons! In particular, these materials work with the phrases no pudo, trajo, and supo la verdad. This is Unit 6 of the SOMOS Level 2 Spanish curriculum. View the complete curriculum map for SOMOS Level 2 with purchasing options here.